Orgonite makes a great tool for healers, both as a personal energy booster, and as a tool to use in healing practice with a client. 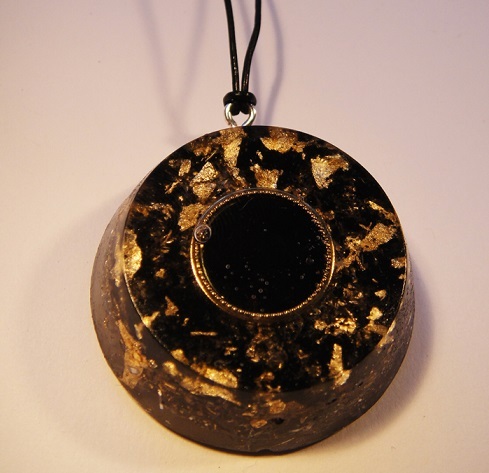 Because orgonite draws stale and stagnant energy inside itself, and emits the energy as positive, healthy energy, wearing an orgonite pendant means you constantly have a fresh supply of orgone energy, or chi, surrounding you. This will benefit anyone – who doesn’t want to have a supply of healing energy surrounding them? 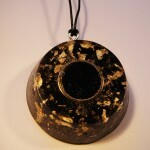 Orgonite pendants are also good for protecting and grounding healers. As a healer, you often come into contact with negatively charged energy, and it is important to center and ground yourself properly so that you don’t take on your client’s energy. Most successful healers make grounding and centering a regular practice, but an orgonite pendant can be provide great additional help for grounding and protection. Orgonite pendants that contain highly protective and grounding stones, (such as Black Tourmaline) are especially effective. If you are interested in buying one of my orgonite pendants, I have a selection of different pendants in my Etsy store: Orgonise Yourself Pendants. Orgonite can also be placed directly on the client’s body while you are healing them. This can be orgonite which is specifically created with gemstone combinations and intent to help heal a specific issue (feel free to contact me for any queries about custom-made orgonite). Healers can also use a chakra orgonite set, with 7 pieces of orgonite specially formulated to stimulate and heal each chakra. The pieces can be placed on each chakra point for a really powerful all-round healing session. My chakra orgonite set can also be found in my Etsy store.